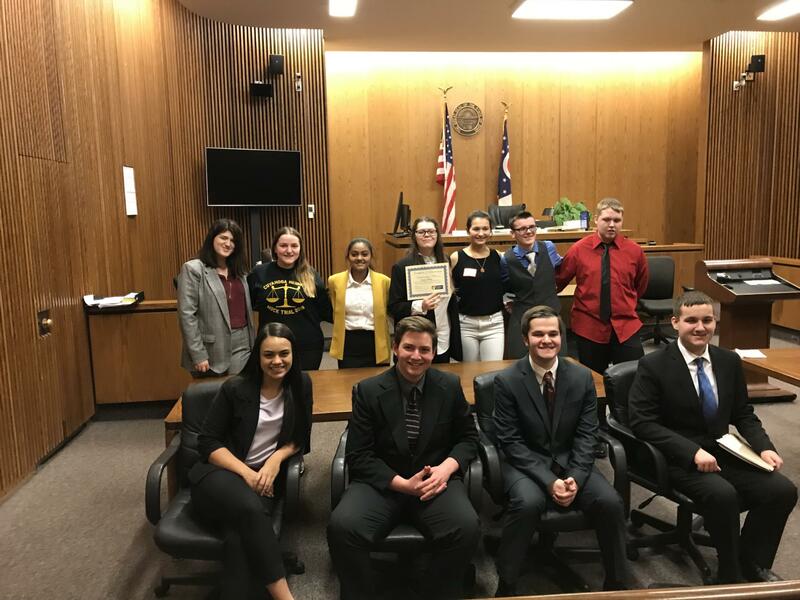 The 36th Annual Ohio Mock Trial District Competition was held on January 18th at the Justice Center in downtown Cleveland. This year’s trial was the case of The State of Buckeye v. Quin Wolff, and involved a hearing over motion to suppress evidence for an alleged Fourth Amendment violation. The Redskins Ohio Mock Trial Competition Team members are noted above, and were under the direction of team advisor Mr. Doug Amari. Both the Prosecution and Defense teams competed extremely well, despite facing strong competition from Hathaway Brown High School and Lake Ridge Academy High School. The Prosecution team lost a very closely contested trial to the regional qualifying team from Hathaway Brown. The Defense team dominated the spirited, but outmatched team from Lake Ridge Academy. Despite their best efforts, the Redskins Ohio Mock Trial Team did not advance to regional competition, due to the split decision. However, the Redskins did bring home two coveted honors. Anthony Zahtilla earned the “Outstanding Attorney Award” for his work against Lake Ridge Academy. Hailey Moran won the “Outstanding Witness Award” for her testimony against the same Lake Ridge Academy Team. 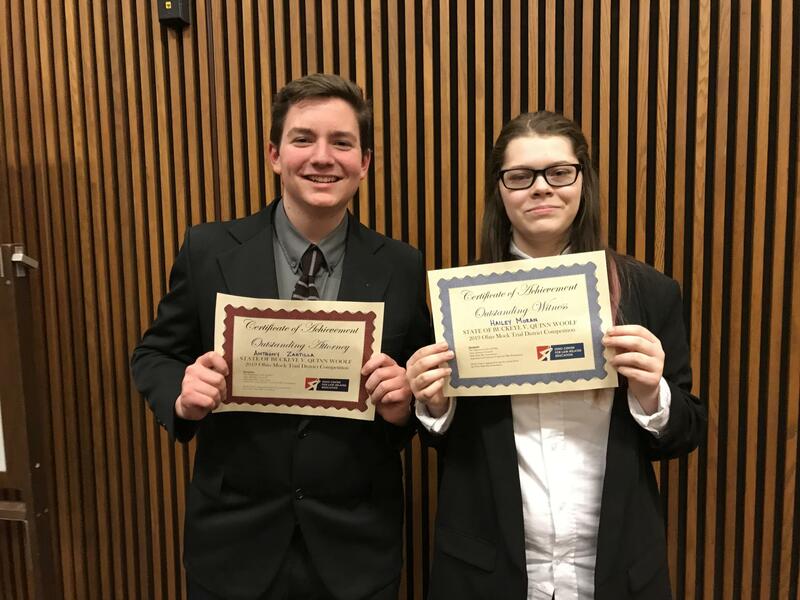 Congratulations to Anthony & Hailey for their “outstanding” performances, and to both the Prosecution & Defense teams for their excellent showings! Special thanks to former CHS graduate and Mock Trial participant Brad Warner, who currently attends Miami University. Brad generously volunteered his time and experience to help mentor this year’s team.